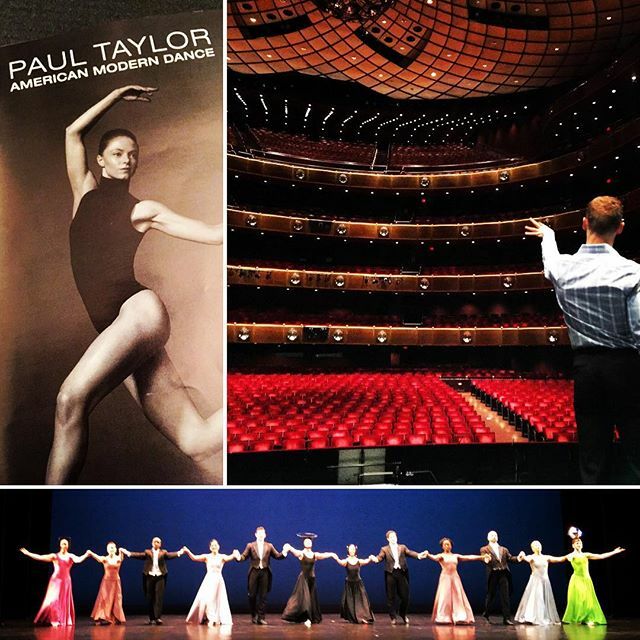 Paul Taylor American Modern Dance: Another wondeful night at the Lincoln Center, plus a backstage tour with Michael Novak. Christina Lynch Markham‘s solo to California Earthquake. The unusual but fascinating movement quality that combined modern dance, 60s dancing, and the “relaxed feel” that came from having a little too much grass. 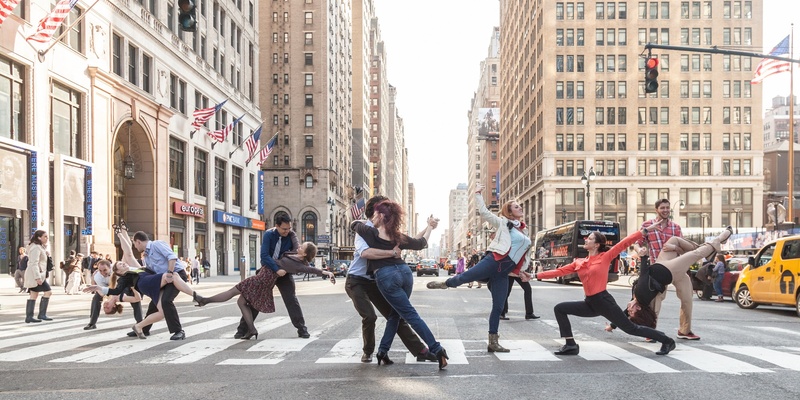 Modern dance is no cake walk, but I suspect the “relaxed look” is even harder to dance… especially while sober and under the Lincoln Center’s stage lighting??? And, of course, the dancing bear by James Samson and Michael Apuzzo. The father-son moment in the dancing bear was wonderful, but I’m too young to get the reference. Why is there a dancing bear? How is the bear connected to the 1960s? “Continuum” is full of contrasts… Between the uplifting Madelyn Ho in red, Heather McGinley in pink, and the rest of the company fading quickly into grey. Between the graceful goddess-like Laura Halzack and the tormented Lee Duveneck who picked himself up only to fall, drop, crash into the ground over and over again. In “Cloven Kingdom,” the dancers portrayed the dual roles of being members of the high society while clinging onto the inner animals inside each one of them. It was great to see this choreography in its full glory (with the full set of costumes, stage lightning, and live music) tonight vs. the earlier studio preview. Back in the 1910s, Vernon and Irene Castle brought couple dancing to upper middle class Americans. Elegent and fashionable, the Castles made social dancing such as the Tango, Foxtrot, Hesitation Waltz, Maxixe not only acceptable but respectable by the high society. However, it’s also during the 1910s, that animal dances such as the Grizzly Bear, Turkey Trot, Crab Walk, Duck Waddle, Kangaroo Hop swept across America in one of the biggest dance craze in US history.